Being a game critic has been both a positive and negative experience for me. On the one hand, I love that I get to engage in a medium I’ve loved since I was a child and that I can make a career out of analyzing and discussing that medium. On the other, being entrenched in the industry has made me jaded to a thing I used to love unquestionably. You see, I’ve played a lot of Skyrim. I’ve played so much that the thought of starting it again actually made me quite cynical. It was after playing Fallout 4 that I revisited Skyrim and I began to see a lot of what was wrong with the former present in the latter. Couple that with the fact that this is a game that will have been released five times (by the time this review goes up), and it’s hard not to have the wind sucked out of your sails for another romp in the land of Skyrim. However, despite all that, I really did want to get into this game again with a positive attitude. I did genuinely enjoy Skyrim when it first released in 2013, and there had to be a reason I willingly sunk more than 300+ hours into it. Without sounding like a Nintendo fanboy, I honestly think the Switch is the best way to experience this game. There are no surprises here; this is the same Skyrim you remember. The familiar landscapes, people, weapons, and dragons that were all present in the original; including the “Dawngaurd,” “Hearthstone,” and “Dragonborn” DLC packs. Although, the only thing I did notice missing were some of the character facial customization options, which have been reduced—I’m guessing—for performance sake. The game has been optimized for play on the Switch including the use of some minor motion controls that actually add a nice dimension to the gameplay. 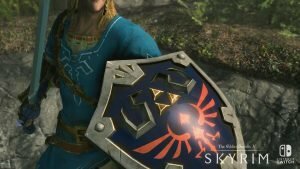 While trying to swing a sword feels awkward and stupid, minor implementations like twisting the Joy-Cons to pick locks, or using the gyroscopic aiming for increased precision shakes things up in a fun way. I’ll cut to the chase and say yes, there are some minor graphical and sound glitches but I don’t know how much of that I’d put on the Switch itself, seeing how Bethesda has never really released a working version of any game. Small things like textures flickering in and out, or certain sound effects repeating on noticeable loops are pretty old hats for Skyrim. 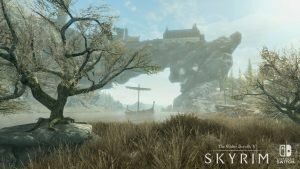 While I’m pretty sure Skyrim does convert to 1080p on the dock, it is locked at 30fps and it does nothing to affect the game experience. I have long maintained that it’s not really noticeable since Skyrim never really looked all that great to begin with, even in HD. The game looks pretty much the same as it did on the 360, so do with that information what you will. The game runs incredibly well on the Switch—both on and off the dock—with quick load-times and almost no instances of frame-rate drop. While of course there are glitches (that’s Bethesda’s most endearing quality right?) most of them stayed in the realm of silly and never game breaking, except for one prolonged instance where it seemed I had a limitless supply of Magicka. But the thing that stands out the most for me is really the portability aspect. 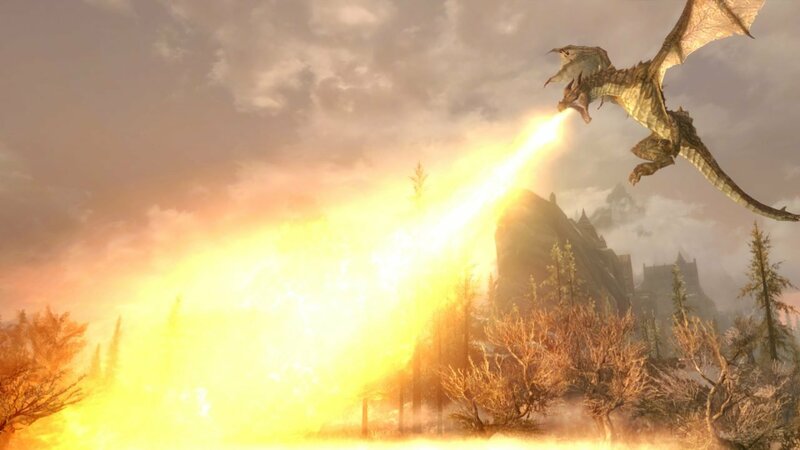 Skyrim has always been both an action-packed game, and one that requires patience. This is a game you could easily take on the bus, or during a lunch-break, start exploring a dungeon, and put down at a moment’s notice without really breaking the flow. Beyond that, speaking for myself and any who might share this feeling, it’s the disconnect you have while playing it off the dock. 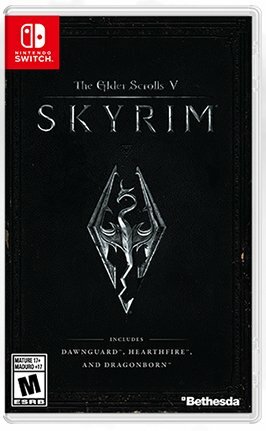 I think it’s safe to say that after six years and several re-releases, the land of Skyrim isn’t as big, nor are its secrets hidden anymore. I think that’s what makes sitting down and playing it on a TV somewhat deflating; you’re devoting hours of your life to a game you’ve already devoted hours of your life to. By the very nature of a handheld, it’s easier to step away from the game and approach it more casually as you throw a movie up on a big screen in the background and explore a dungeon on the side. 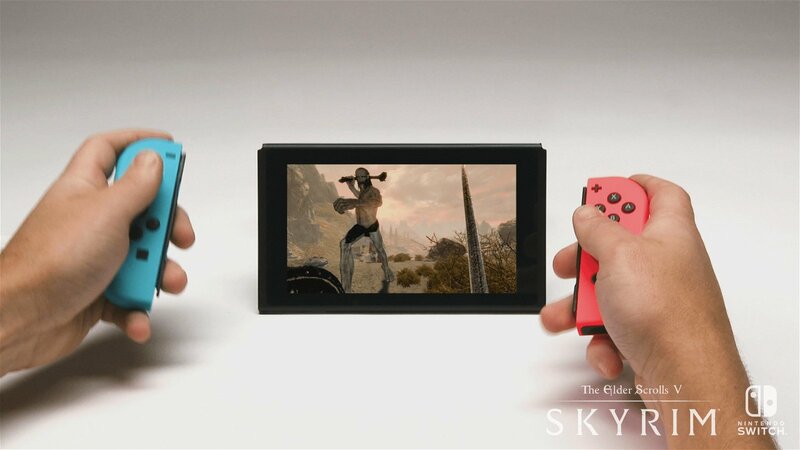 This is what I think makes Skyrim on Switch so valuable. 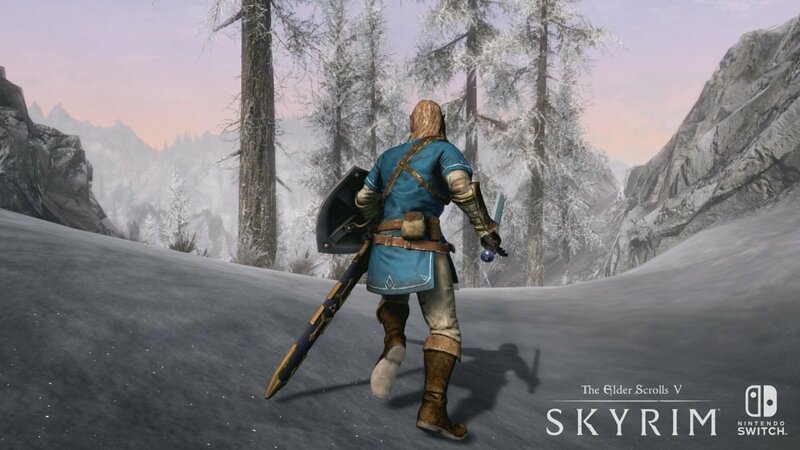 While console and PC zealots may criticize the amount of framerates and pixels, or how you can’t mod your game to make swords into Keyblades, I’d say having Skyrim on something I can fit in a messenger bag and take with me anywhere supersedes any of that pointless debate. 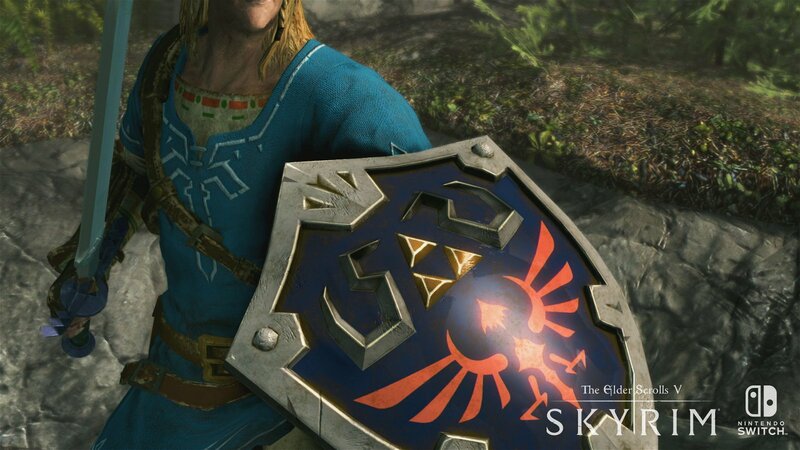 As it is, Skyrim on Nintendo Switch looks great, plays great, and actually reminded me why I enjoyed the game in the first place. Liked this article and want to read more like it? Check out Jordan Biordi’s reviews of Metroid: Samus Returns and Pokkén Tournament DX for the Nintendo Switch! Despite being a slightly pared down re-release of Skyrim, the portability aspect really makes this work.